Virtuoso, composer, accordion teacher at UMFC in Warsaw. Member of the Association of Polish Accordionists. Winner of more than 35 international and nationwide accordion competitions. He took part, among others, in: Jezzaldija Festival in San Sebastian, International Festival of Klezmer Music in Furt and Amsterdam, Chutzpah Festival in Vancouver. 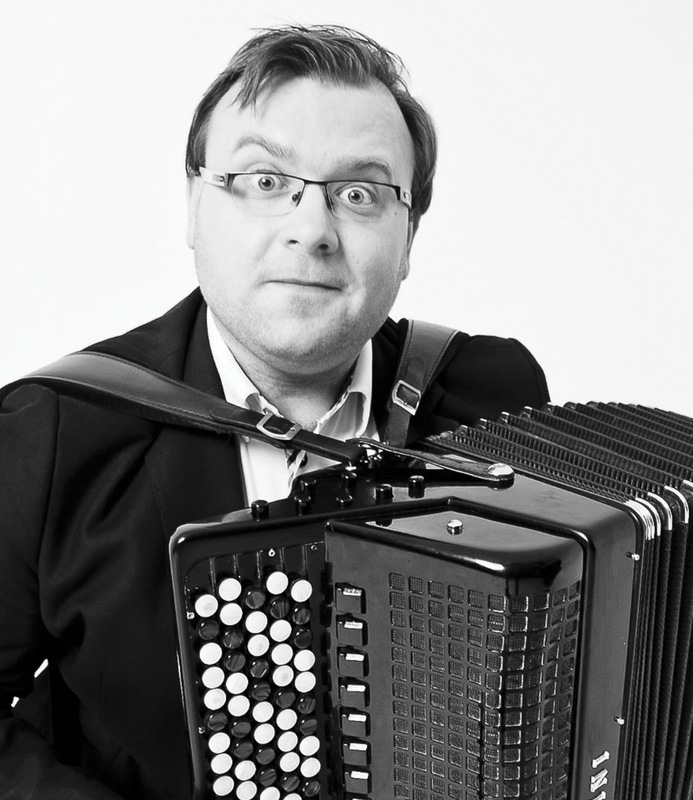 He also played in a series of concerts with world famous accordionist – Youri Shishkin. As a session musician he performs on radio and television. He cooperated, among others, with Grzegorz Turnau, Anna Maria Jopek, Krystyna Janda and Janusz Majewski. He became the musical director of Jesienin performance at Teatr Ateneum and took part in the series of concerts promoting Tango Fuerte album at Teatr Ochota in Warsaw. Together with Klezmafour band, he became the finalist of the 3rd edition of Must Be The Music talent show.